Nine awards and counting would be the pinnacle of recognition for any strain, yet Jack Herer manages to go a step further. Jack Herer's genetics bears the distinction of being distributed under prescription by Dutch pharmacies as a recognised variety of medicinal-grade cannabis. No other cannabis strain can say this. Jack Herer is the cream of the crops and perhaps the most exquisite ganja you will ever encounter; this strain ranks as the most awarded variety of cannabis stains in the history of harvest festivals. 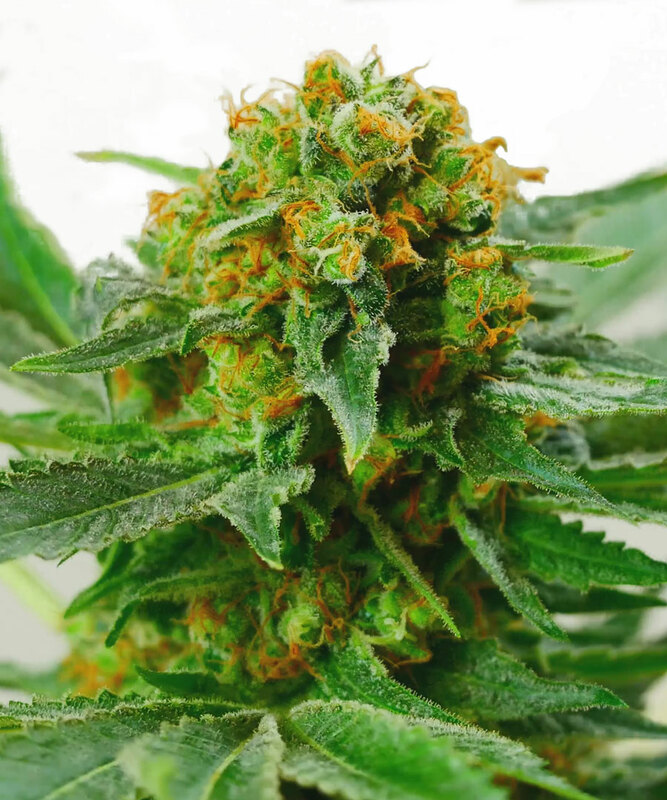 Plants from Jack Herer seeds show favourable variation, due to Jack Herer’s complex background and delicate balance right at the cusp of Sativa and Indica. Enhanced features from both sides of the family are strongly evident and are expressed in different combinations, allowing growers to select mother plants tailored to their circumstances and tastes. Three of Jack Herer’s four main phenotypes are heavily Sativa-influenced while the fourth has a growth pattern leaning towards Indica - fast-flowering and relatively compact with a dense, expansive, rounded bud structure that’s suited to cash-cropping. Jack Herer’s Sativa phenotypes can also produce a good per-metre or per-plant yield when cultivated skilfully, though it is rare for these crops to be sold commercially. Most growers who have watched their succulent, super-sized calyxes swell and mature will be hesitant to sell such buds, and the best Jack Herer is often passed around a select circle of friends - an example of one of those things that money just can’t buy. Jack Herer® is a regular strain, which will produce male and female plants. The Jack Herer® is a Sativa / Indica Hybrid. The Jack Herer® strain has large proportion of Sativa genes in its background. Jack Herer® will have a comparatively short flowering time. Jack Herer® will grow substantially during the flowering phase. Jack Herer® can produce a very large yield, but may require a little extra care to achieve their full potential. Jack Herer® can be grown outside in a warm, sunny climate with a long summer. Jack Herer® Seeds is added to your shoppingcart! Jack Herer® Seeds is added to your wishlist!